Fantastic pictures Loren....how did the performance go? It went well I thought. It seems the mixer is a focal point for you...could you explain the performance process and how each part of your setup interacted. Im very interested in what is involved in a modular performance and making it all come together in a live situation. Well the mixer is kind of the focal point since everything goes through it. It looks like that because of the two side tables that attach to the mixer rack. I think more central was the computer. I was doing a short (20 minutes) version of my album Taksu, so I ended up using a lot of samples. The modular I had programmed with six different patches that I could play, so it wasn't all samples. Yes and a video as well, it should be done shortly, I will let everyone know when it is up. Here are a couple of other shots of modulars that were at the show. It's the moog 35 that Long Beach City College owns. It sat in a storage room for over 20 years not being used (I almost bought this thing off of them at an auction in 1987, but they pulled it out before the auction ended). Two math professor heard about it, the music department gave it to them, they sent it back to moog who refurbished it to this condition. Nice to see it in use again after all these years. Interesting, I wonder it that would work with Mainstage instead of Live? I haven't started on any patches yet, that will come this weekend. Afterward their will be some sort of jam with all the musicians involved. Hope you can make it. Yeah I saw one really cheap on ebay, so I went out to Noisebug for something else and while there did some playing around with the waldorf while in the shop. That's when I knew I had to have it, it does some pretty interesting things. Now I need to go back to Noisebug and purchase some other modules they had that I also tested out and now can't live without. So far it seems pretty cool. In March I was up North visiting Robert. We went for a walk and his crows followed us wherever we went. Of course him throwing them bits to eat kinda helped. The 921A....Oscillator Driver.... , What is it? Rectangle LFO, yet there are only inputs no outs. Is it internally wired? Yes it is internally wired to the 921B Oscillators. It basically controls them giving them the same voltages. Not sure what a Moog Mark V is, they called their modulars different names depending on the era they were made. My school had a Moog model 55 with two sequencers, that's what I originally learned on. Then later when I transferred to a different school they had a large Buchla 100 system that I spend a great deal of time on, it was too imitating for most folks. Each had their own thing that made them cool. I loved the touch plates on the Buchla, and the complex sequencers on the Moog. Yeah the arp sequencer was a great one, I should have kept the two I had at one time. I wish someone would just copy it, most sequencers I have seen just seem to miss what it could do. I think the only thing I have left from those pictures is that a-frame keyboard stand lol. Jeff was such a nice guy, I enjoyed our conversations the few we had about music and such. I am glad to have known him. It seems like it just took him so quickly, hard to believe. He will be missed. I ask about the Verbos Harmonic Oscillator as you show it in your modulargrid rack so I thought you had it.....often the only way to really know is to actually use the module. You are right it is in my modulargrid rack. I see a few other modules that I don't have in there as well, I thought I took them all out, oh well. 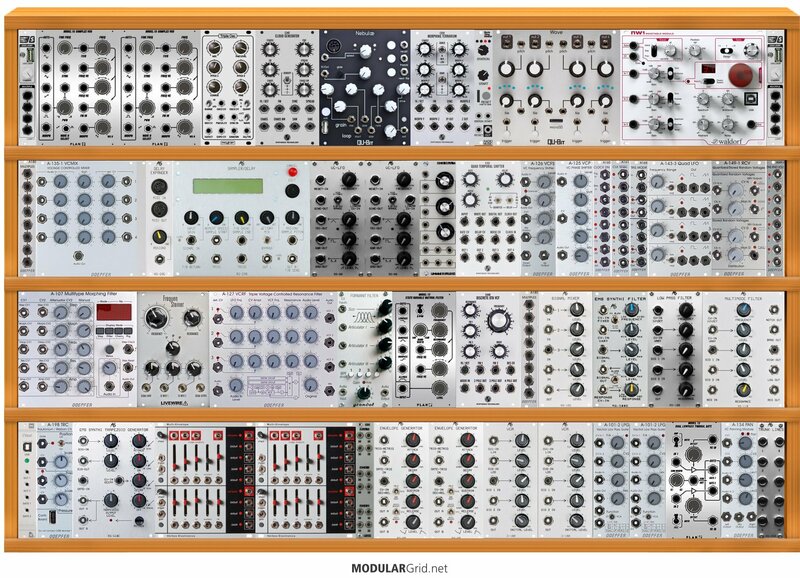 I sometimes put modules in my grid rack to see how they would fit if I were to purchase them so my grid is always changing. I mean that's really the beauty of it, you can test out things and move them around without having to actually move any real modules. My photos show what I actually have at the moment, except for the new module that I just purchased in the last few weeks. Loren, what are your thoughts on the Verbos Harmonic Oscillator... lots of very positive comments abound but not heard any demos that really grab me, yet I like the synthesis idea behind it. I've heard some great demos of it. 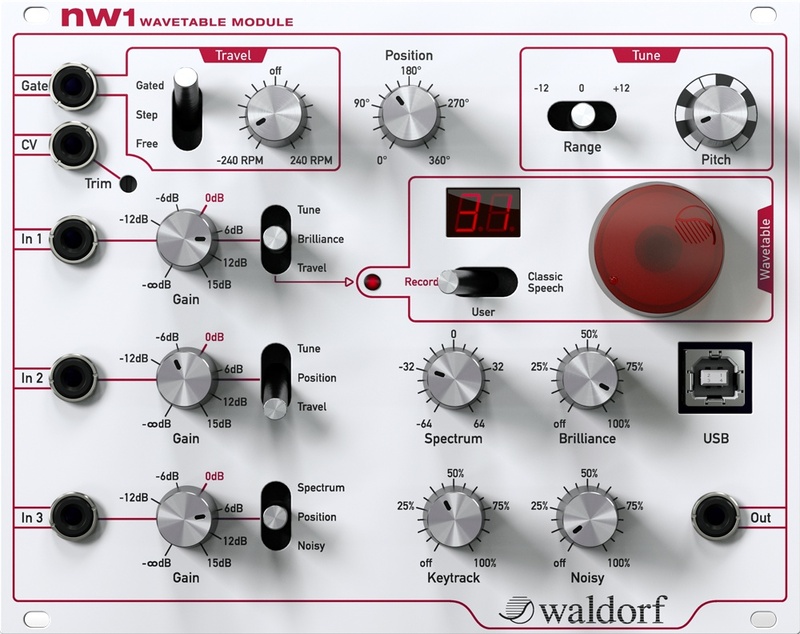 It is on my short list of modules to get. 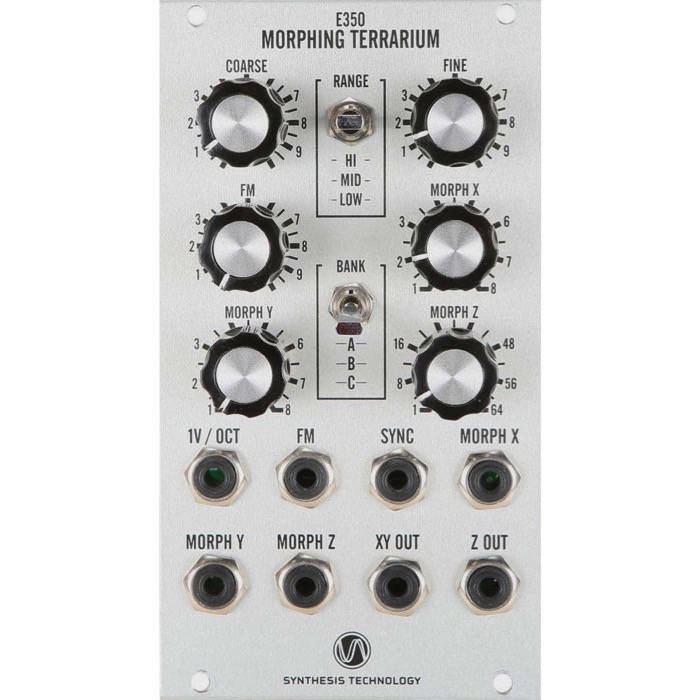 Here's my latest module, the Synthesis Technology Morphing Terrarium. I need to pick up an attenuator now for it. Everything and Nothing / Re: What is a soundboard recording? What you just said is what I thought, but there's a Wikipedia page about bootlegs and makes it seem like it's still an audience recording. Wikipedia is not the best source for everything, anyone can post anything on there and if no one knows better some misinformation might get left up as fact. That's why academia don't count it as a legit source for information. As everyone else has said, a soundboard recording is a recording taken off the main mixer for the concert. Usually they are made for the band or maybe the venue to archive the performance. Everything and Nothing / Re: Downloading and iTunes Making "Rare"CDs Worthless? I still buy CDs, instead of downloading files from iTunes mostly because CDs are better quality than mp3 files. But then again I won't pay collectors prices for stuff, so if I can find a decent version of something on Bandcamp or some other place that sells non compressed file formats I'll buy it there instead if the disc is more than what a normal used CD goes for. Aside from CDrs I've never had a CD go bad.